Dolphin Browser Mini is a brand new version developed by Dolphin Browser Team, which is aiming at providing a faster user experience for you. Same with Dolphin Browser Original, it is built on android 1.6 engine. 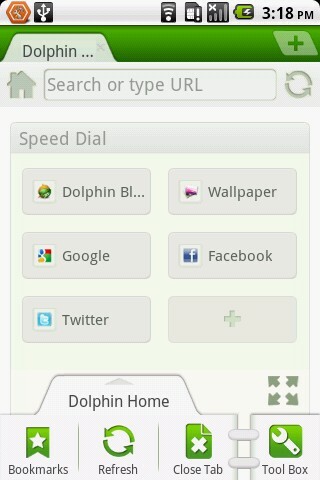 Dolphin Browser Mini will win all the other browsers with its High speed responsibility. You can treat it as the mini version of Dolphin Browser HD and the upgrade version of Dolphin Browser.